The Blessed Virgin Mary, the Mother of God, was conceived full of sanctifying grace and free of any stain of original sin. In Catholicism, this is called the Immaculate Conception. She was conceived in this way through the merits of Jesus Christ: by His sacrifice, she was preserved from original sin. If any one say that man once justified can during his whole life avoid all sins, even venial ones, as the Church holds that the Blessed Virgin did by special privilege of God, let him be anathema." First, a minor clarification. By "special privilege", does that quotation mean the very fact that Mary was born without original sin, or is it a separate gift? because of her perfect devotion to the Lord, or because of a natural disposition to be perfectly devoted to the Lord. because she was chosen by God, and that is merit enough. because she was Mother of God, and no other woman could have been chosen in her place, since no other woman was Mary. we do not know, because this was never revealed. But without the backing of what may be a fair bit of research, all of these options are idle speculation. According to the Catholic Church, why did God choose Mary, from all eternity, to be the Blessed Mother of His Son? What Makes Mary So Special? Simply put, God found favor with her and blessed her by His grace. The Catholic Church has historically taught that Mary was presented to the temple and had made a vow of virginity (which is the reason for her protest to the angel in Luke 1:34). From a Catholic perspective, if God chose to preserve Mary from original sin prior to her birth, to what in her life can we point as a reason for choosing her? According to Pope Pius IX, "by virtue of the foreseen merits of Christ, our Lord and Redeemer." This is truly the answer given by the Roman Catholic Church. 1 Jaroslav Pelikan. Mary Through the Centuries: Her Place in the History of Culture. (New Haven, CT: Yale University Press, 1998), 2. 2 Richard Rodriguez. Days of Obligation: An Argument With My Mexican Father. (New York: Penguin Books, 1993), 16-20. 3 Methodius, "Oration Concerning Simeon and Anna On the Day that They Met in the Temple", XIV, translated by William R. Clark. From Ante-Nicene Fathers, Vol. 6. Edited by Alexander Roberts, James Donaldson, and A. Cleveland Coxe. (Buffalo, NY: Christian Literature Publishing Co., 1886) Revised and edited for New Advent by Kevin Knight. Available on New Advent. Also cf. Philip Schaff. Ante-Nicene Fathers, Vol. 6: Fathers of the Third Century: Gregory Thaumaturgus, Dionysius the Great, Julius Africanus, Anatolius, and Minor Writers, Methodius, Arn. (Grand Rapids, MI: Eerdmans, 1885), XIV, 393. Publicly available on CCEL. 5 cf. Luke 1:48, where Mary sings, "Surely, from now on all generations will call me blessed." Some manuscripts of Luke 1:28 also record the angel Gabriel as saying, "Blessed are you among women" in addition to pointing out that she is "favored" by God and that God is with her. 7 Pelikan, 24-25. Specifically, cf. St. Augustine and later in history, Annius of Viterbo, who both made similar propositions concerning the lineage of Heli/Joachim/Eliachim. 8 Ibid., 25. cf. Song of Solomon 1:5, which in the Latin Vulgate is rendered 'Nigra sum sed formosa' ("I am black but comely"). Interestingly, the Hebrew text actually says that she is "black and beautiful" (not but), which is also indicated in the Septuagint ("Μέλαινά εἰμι καὶ καλή"). This has made Mary a powerful symbol for many non-white cultures, especially Hispanics. Also cf. Proverbs 31:10, which in the Latin Vulgate reads 'Mulierem fortem quis inveniet?' ("The woman of valor, who will find?"). 9 Jerome. Against Jovinianus (Book I). Translated by W.H. Fremantle, G. Lewis and W.G. Martley. From Nicene and Post-Nicene Fathers, Second Series, Vol. 6. Edited by Philip Schaff and Henry Wace. (Buffalo, NY: Christian Literature Publishing Co., 1893.) Revised and edited for New Advent by Kevin Knight, 31. Available on New Advent. 10 Constitution Ineffabilis Deus of December 8, 1854, under section entitled "Testimonies of the Catholic World." Available on New Advent. 11 Specifically St. John Damascene, St. Gregory of Nyssa, St. Germanus of Constantinople, and St. Fulbert of Chartres. "The [apocryphal] Protoevangelium [of James] gives the following account: In Nazareth there lived a rich and pious couple, Joachim and Hannah. They were childless. When on a feast day Joachim presented himself to offer sacrifice in the temple, he was repulsed by a certain Ruben, under the pretext that men without offspring were unworthy to be admitted. Whereupon Joachim, bowed down with grief, did not return home, but went into the mountains to make his plaint to God in solitude. Also Hannah, having learned the reason of the prolonged absence of her husband, cried to the Lord to take away from her the curse of sterility, promising to dedicate her child to the service of God. Their prayers were heard; an angel came to Hannah and said: "Hannah, the Lord has looked upon thy tears; thou shalt conceive and give birth and the fruit of thy womb shall be blessed by all the world". The angel made the same promise to Joachim, who returned to his wife. Hannah gave birth to a daughter whom she called Miriam (Mary)." cf. New Advent article on Anne/Hannah. An astute reader cannot help but see the similarity with the biblical account of the birth of Samuel. Now, what did she do? We don't know if God chose her ante previsa merita or post previsa merita, but we also know that God is no respecter of persons. Why did he choose Abraham? Because he wanted to. Why did he choose Moses? Because he wanted to. Why did he choose David? Because he wanted to. We simply know that at the right time God wanted to choose Mary. And why? “For my thoughts are not your thoughts, neither are your ways my ways,” declares the Lord. 9 “As the heavens are higher than the earth, so are my ways higher than your ways and my thoughts than your thoughts. 10 As the rain and the snow come down from heaven, and do not return to it without watering the earth and making it bud and flourish, so that it yields seed for the sower and bread for the eater, 11 so is my word that goes out from my mouth: It will not return to me empty, but will accomplish what I desire and achieve the purpose for which I sent it. Mary was not great in and of herself. Her heart was perfect towards God. From the very beginning, and before time began, the eternal Father chose and prepared for his only-begotten Son a Mother in whom the Son of God would become incarnate and from whom, in the blessed fullness of time, he would be born into this world. Above all creatures did God so lover her that truly in her was the Father well pleased with singular delight. As such, God chose Mary, and by removing her sin, made her able to "walk worthy of the calling to which [she] was called" (Eph. 4:1.) That this was truly a "gift" is the point of the document above. Well, the Savior had to fulfill prophecy, which included being a descendant of the lineage of David, and Mary was in the line (Luke 3:32-33, compare with Jeremiah 23:5-6). So she and Joseph both had to be Jews, so that narrowed her ethnicity. Also, He had to be on earth during the foretold year, so she had to be alive during that year [Prophecy: Daniel 9:24-26 (49 + 434 years), Nehemiah 2:1-8 (445 B.C.) Fulfillment: Jesus alive in 30 A.D.)]. That again narrowed down the possibilities of who could carry the Christ Child. She had to be from Bethlehem, so that when the taxation time came, she would go back and have the child there, again, fulfilling prophecy (Matthew 1:6). Bethlehem itself was a very small town, so that significantly narrowed the pool of available young women whom God could choose. Read the Magnificat in Luke 1:46-55 and you'll see a woman who was well versed in the scriptures (and who was humhly obedient to the Lord's plan), so she would be a wonderful person with whom to entrust a Child this precious. There would have been thousands of women in Nazareth and in the whole of Israel; and out of these women, God chose our Blessed Virgin Mary to be the mother of Christ. But why God Almighty did chose Mary to be the mother of Christ, out of the many women in the whole of Israel and indeed the world; we would have to be God Himself to be able to answer that question because it is God's mind that we are trying to understand. However we get to have a glimpse of God's mind in Bible, where He has revealed many of His secrets to us. When we look at God to be All-knowing and Almighty, we have a view of what was happening in God's scheme of salvation. 1 Peter 1:20 He was foreknown before the foundation of the world but was manifested in these last times for your sake. Here Bible tells us that God planned the salvation of mankind well before the foundation of the world. In that case God must have planned well in advance, every milestone of that plan of salvation and that include Our Lady. God planned that Christ would be born into the world by a woman; the same way that all human beings were born. He is God and it is very possible to send Christ into the world without the process of being born by a woman, but that was not God's plan and He had revealed this plan through the prophets in the scriptures. 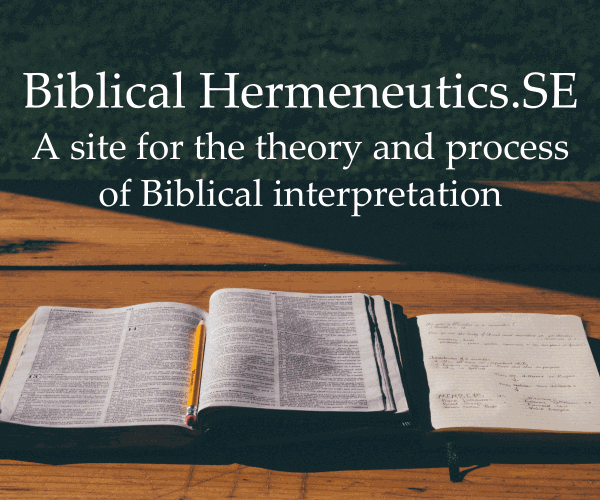 God prefers humble and lowly: Throughout the Bible we find that there is a general theological and narrative of God's preferential option for the least, the last, and the lost. In Genesis, the stories of Abraham (a wandering nomad...a nobody), Isaac (the second born of Abraham), Jacob (the second born of Isaac), and Joseph (11th of Jacob's sons) reveal a pattern that would have been quite unusual: it was usually the eldest son who received the primary portion of the inheritance, but in these stories the "least" become the greatest. The Old Testament presents a preferential option for the least. So God chooses to work through one of the lowliest people imaginable...an unmarried peasant girl from a little off-the-map town in a province that the most powerful empire in the world looked on with great scorn. To further underscore this theme, Jesus was born in a stable and was countenanced by shepherds and foreigners. All these events help us to have the glimpse of God's mind and the possible reason why He chose Mary to bear Jesus. God is Holy: God himself is holy, and it would only require a holy vessel to give birth to Christ and that holy vessel must be a virgin; but the question may arise out of the whole of Israel: was Mary the only virgin?, The answer would be a no but Mary was chosen not only because of her virginity but because she possessed the purest of hearts, and that was the essential ingredient that God needed from her to be the mother of Christ. A pure heart as at then required constant prayers directly to God from the heart and Mary was the only virgin in Israel and indeed the world to possess the purest of hearts and be a virgin. Foreseeing all these qualities, Mary was ordained for her role, even prior to her own birth. God decided that he would choose her even before she was born. That is why she is Immaculate Conception. It was all God's plan that was taking shape. God made Mary free of original sin at the time of her own conception in readiness for her role as Christ’s mother. Luke 1:38 So Mary said, “Yes, I am a servant of the Lord; let this happen to me according to your word.” Then the angel departed from her. She was an incredible role model then and now. Mary exhibited complete femininity in her response to the angel Gabriel. She surrendered completely to the will of God. She had much to lose potentially - her husband, reputation, and even her life - yet she trusted in the providence of God. She was knowledgeable about her own religion and surrendered freely to the will of God. Mary understood the Jewish prophecies foretelling the Messiah. God chose Mary to be the mother of Christ; the reason is that God still remains God himself and just like when he created man in Genesis, he holds the reason for the mystery and why it has to be so. One day the angel, Gabriel, shows up and says in effect, Mary, God has this fantastic plan. He’s going to come to earth so people will know what God’s like. He’s going to use your body to enter the human family. You are going to be the mother of Jesus Christ. Many girls would have answered, Can’t you get somebody else. I’ve already got my plans and this whole things really doesn’t fit in. I’ve really got to think of what’s best for me. Instead, Mary answered Behold the maidservant of the Lord! Let it be to me according to your word. Mary was willing to do what God wanted her to do. There are three things about Mary that reveal she earnestly desired to know and do God’s will. She was sensitive to finding out what God wanted her to do. In Luke 2:19 we read, "Mary kept all these things and pondered them in her heart." Whenever there was a clear message from God, Mary would ask, "What is God saying and how does it apply to me?" We get our clear messages from God from the scriptures. Every day we ought to have a private time to read God’s word and ask, "What is God saying and how does it apply to me?" If we are truly sensitive to knowing God’s will He will show it to us. She was joyful and enthusiastic about doing God’s will. Luke 1:46, 47, "And my spirit has rejoiced in God my Savior." Mary was not like some who say, "Well, I know God wants me to do so and so. That’s not what I wanted to do, but I guess I’ll have to just grin and bear it." Mary was joyful and enthusiastic about doing God’s will. She was humble and yielded. "Behold the maidservant of the Lord!". Luke 1:38. "...For He has regarded the lowly state of His maidservant …" Luke 1:48 She didn’t think, "God is sure lucky to get me! With my abilities I’m going to do a lot of great things for Him." She was thankful that God was willing to use her. Mary desired to do God’s will. I'll try to give an answer from a Catholic perspective, to the extent I understand it (which is admittedly only a partial extent). In some respects, Mary's situation is similar to ours: We need some grace from God in order to do anything pleasing to Him. Once God has given us this grace, we need to cooperate with it, and the degree of our cooperation can influence God's decision about what additional graces to give us. In Mary's case, the initial grace was huge --- exemption from original sin plus a tremendous amount of actual grace --- but then it was up to Mary, and she cooperated fully with those graces, loving God more than any other mere creature. God had, from all eternity, chosen Mary to be the mother of His Son, and He provided the graces necessary to make her a fit place for Jesus to enter our world by His incarnation. But Mary still had free will and could have chosen to reject grace and commit sin; her total cooperation with every grace and her total love for God resulted in her present heavenly glory. God the Father prepared a Mary, and she was indeed found to be in God's favor as a virtuous young lady. Mary was predestined by His design. Just as God prepared a Jewish people, by His design. The Jewish people, being the combination of a lineage of descendents as well as a religious people, existed for who they were for the purpose of making ready, at the appropriate time, the arrival of Jesus, who would come in response to Adam and Eve's sin and save mankind from certain eternal death. Remember that God is eternal, and the overall story is His design. Even the Tree of Knowledge of Good and Evil was a total set-up, by His design, so that He could paint a picture, like a movie storyline, of mankind willfully choosing to sin, discovering from the fruit the essence of knowledge of morality, and subsequently needing a savior that mankind could willfully choose to believe in, or not believe in. Jesus is that savior, and He came at a predetermined time and place. He came from Mary's womb because that is how God designed it. This picture, romantic as it may be, is wholly inaccurate. The Incarnation wasn't a spur-of-the-moment decision. From the very beginning, and before time began, the eternal Father chose and prepared for his only-begotten Son a Mother in whom the Son of God would become incarnate and from whom, in the blessed fullness of time, he would be born into this world. it was quite fitting that, as the Only-Begotten has a Father in heaven, whom the Seraphim extol as thrice holy, so he should have a Mother on earth who would never be without the splendor of holiness. So God chose Mary before the creation of the world, and formed her to be holy, perfectly without sin at every moment of her life, for the sake of the Incarnation. He made her to be a meet and fitting mother for his Son, redeemed by the anticipation of his works. Her election was not because she was particularly fitting: she was so fitting because God had chosen her to be so, "by a singular grace and privilege ... preserved free from all stain of original sin". God alone excepted, Mary is more excellent than all, and by nature fair and beautiful, and more holy than the Cherubim and Seraphim. To praise her all the tongues of heaven and earth do not suffice. Why, Oh God, did you choose Mary? A woman who might seem ordinary. The woman You've made extraordinary. Not the answer you're looking for? Browse other questions tagged catholicism virgin-mary or ask your own question. Why didn't God send Jesus during Noah's time instead of The Flood? Does Christianity as described in the Bible support dualism of the mind and body?